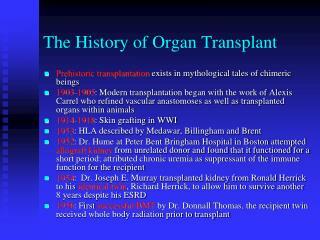 Immunity, Transplantation and INFECTION. Context:. 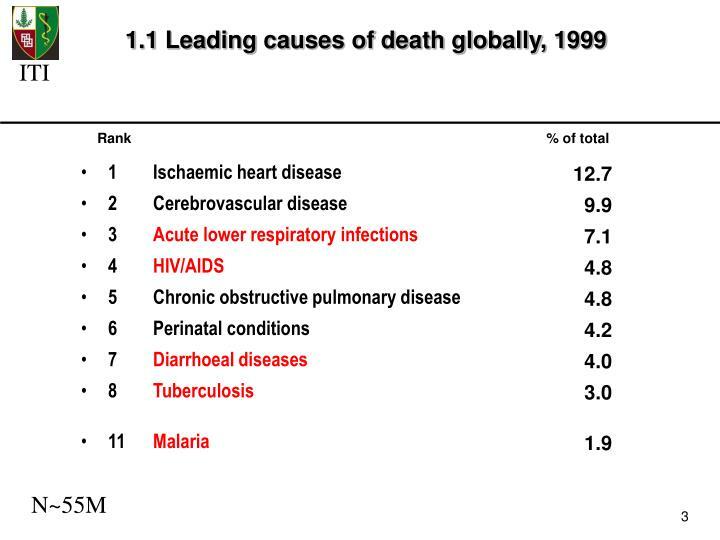 Infectious disease are directly responsible for a major fraction of global mortality. Microbes now clearly implicated in the etiology of many other, chronic diseases, as well. 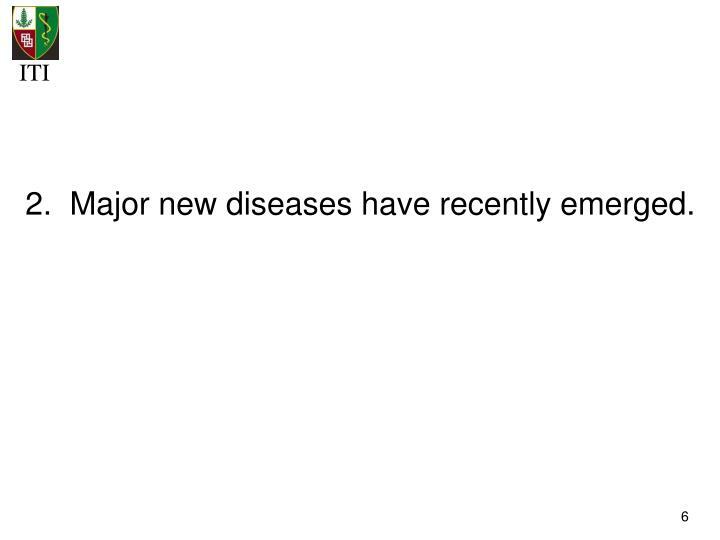 Major new diseases have recently emerged. 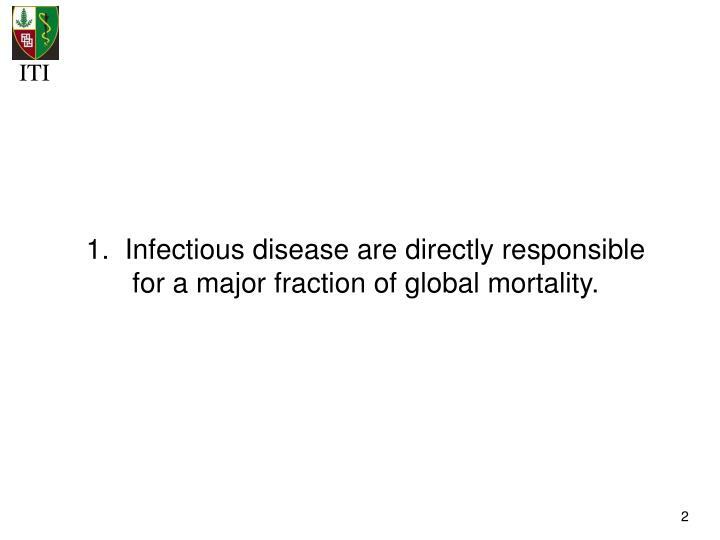 Infectious disease are directly responsible for a major fraction of global mortality. Microbes now clearly implicated in the etiology of many other, chronic diseases, as well. 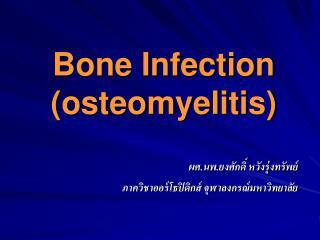 Major new diseases have recently emerged. 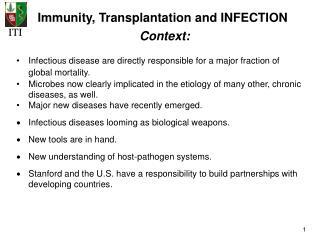 Infectious diseases looming as biological weapons. 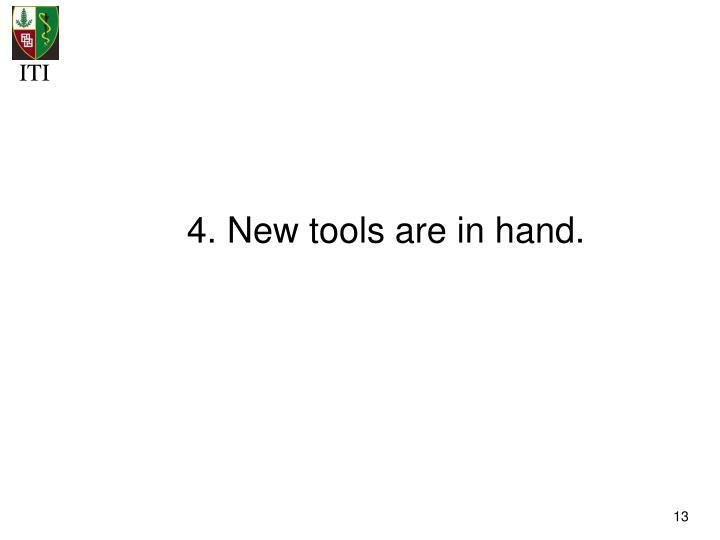 New tools are in hand. 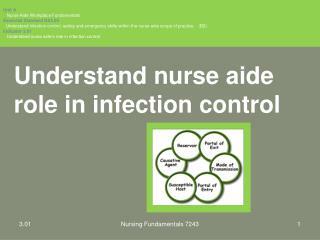 New understanding of host-pathogen systems. Stanford and the U.S. have a responsibility to build partnerships with developing countries. 1. 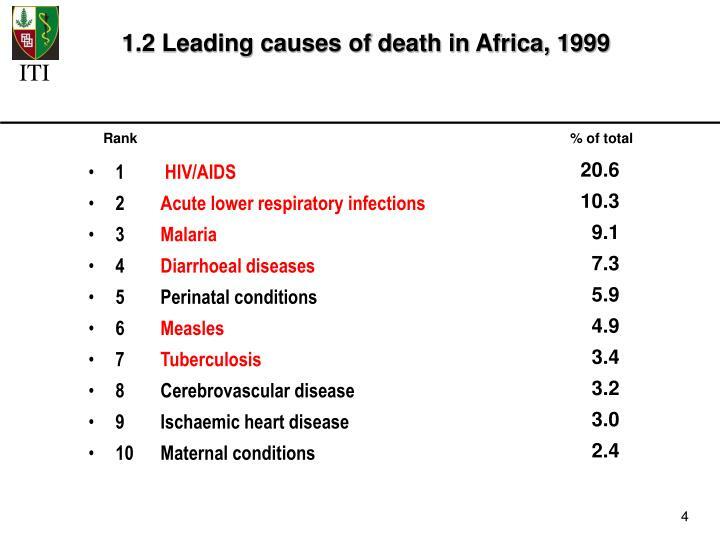 Infectious disease are directly responsible for a major fraction of global mortality. 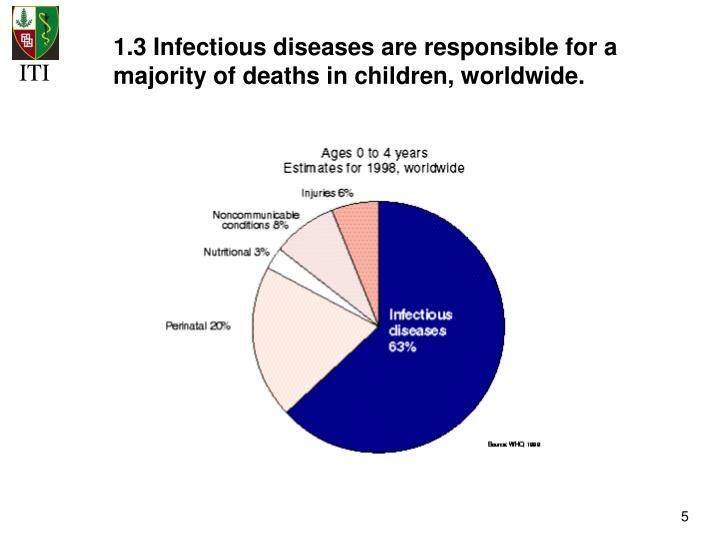 1.3 Infectious diseases are responsible for a majority of deaths in children, worldwide. 2. 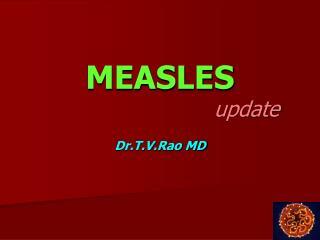 Major new diseases have recently emerged. 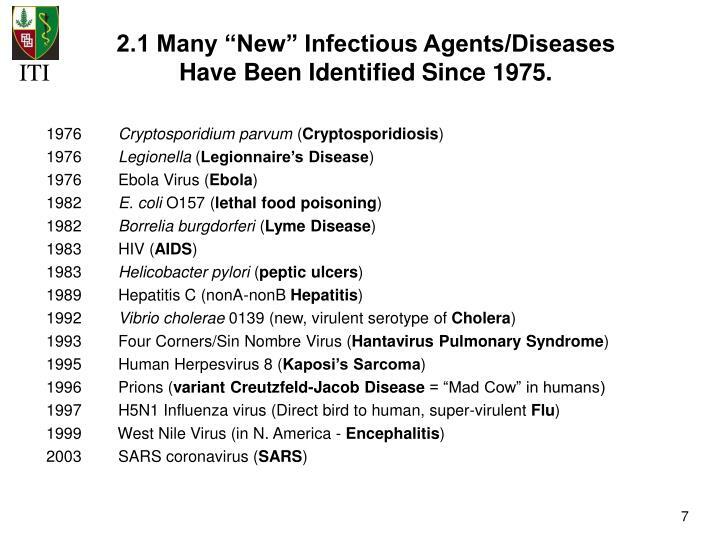 2.1 Many “New” Infectious Agents/Diseases Have Been Identified Since 1975. 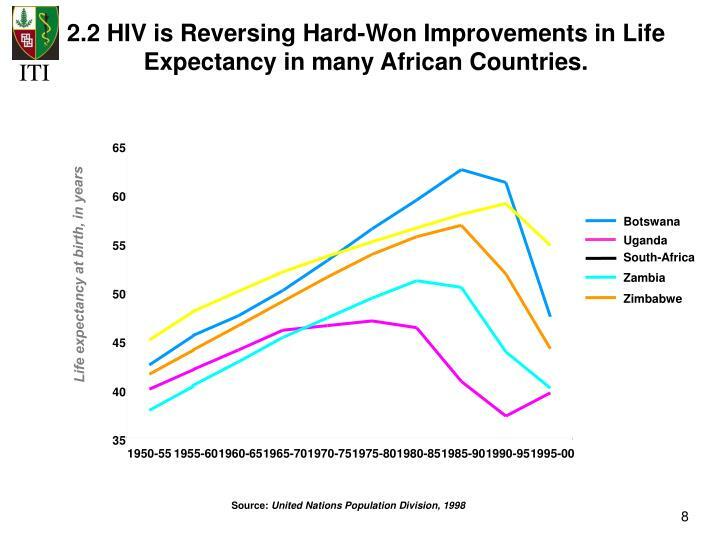 2.2 HIV is Reversing Hard-Won Improvements in Life Expectancy in many African Countries. 3. 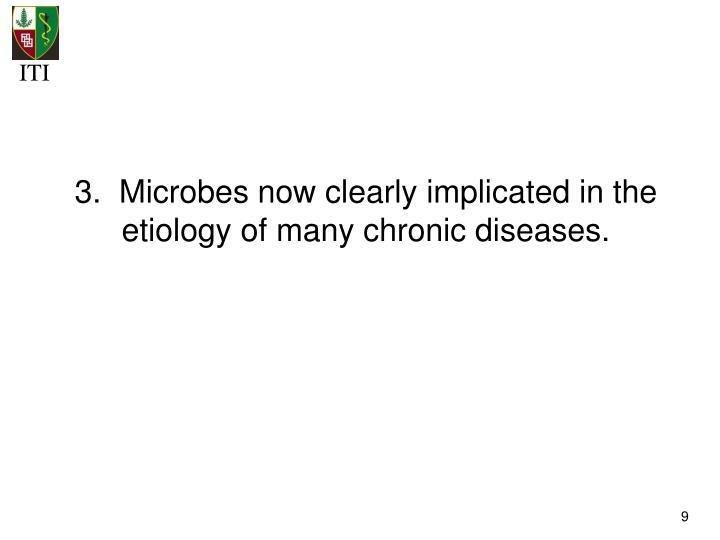 Microbes now clearly implicated in the etiology of many chronic diseases. Human papilloma virus and cervical carcinoma. 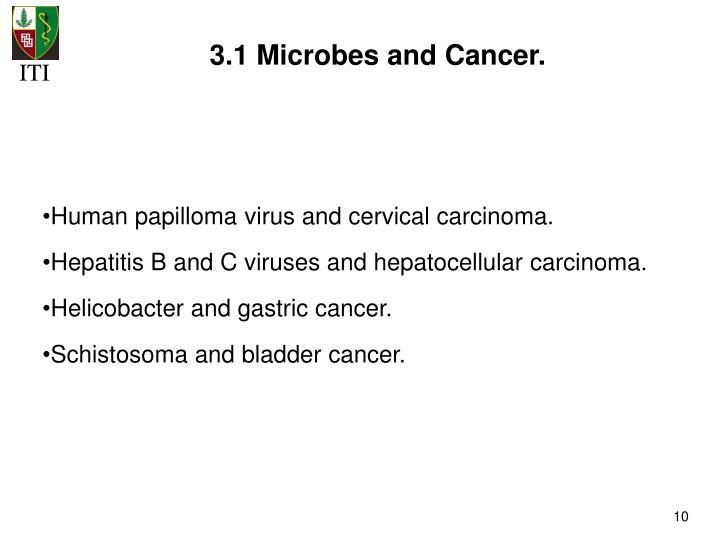 Hepatitis B and C viruses and hepatocellular carcinoma. 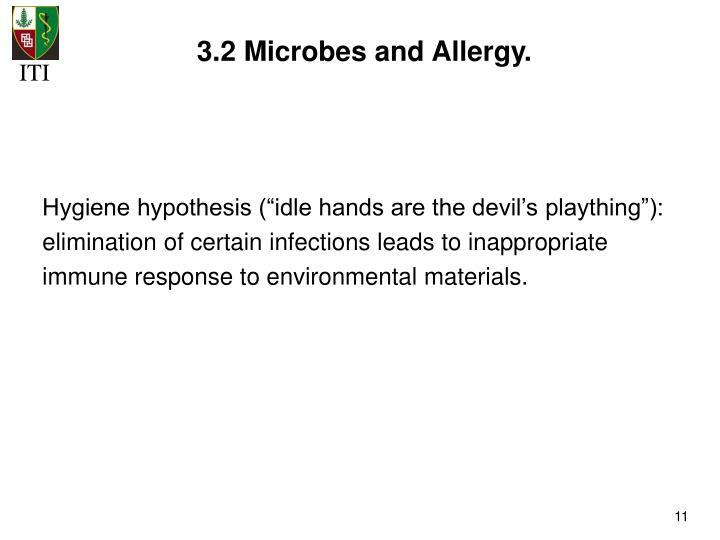 Hygiene hypothesis (“idle hands are the devil’s plaything”): elimination of certain infections leads to inappropriate immune response to environmental materials. 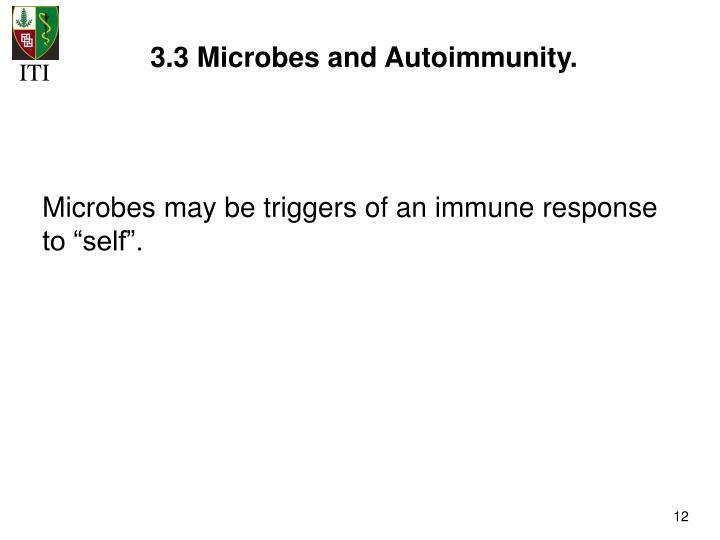 Microbes may be triggers of an immune response to “self”. 4. New tools are in hand. ‘omics of the pathogens, vectors and hosts. 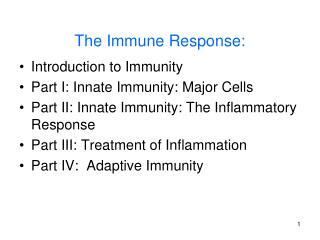 HUGE increase in our understanding of the immune system and pathogen systems. 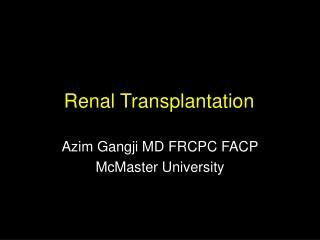 High throughput methods for analysis of host and pathogen. 5. 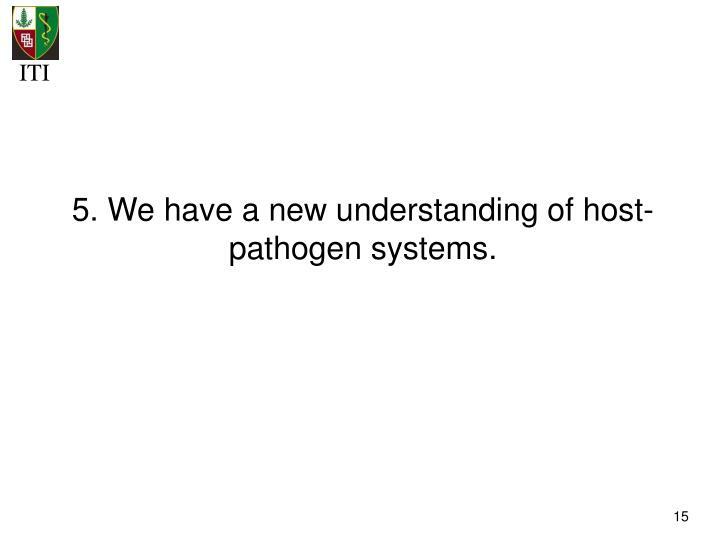 We have a new understanding of host-pathogen systems. 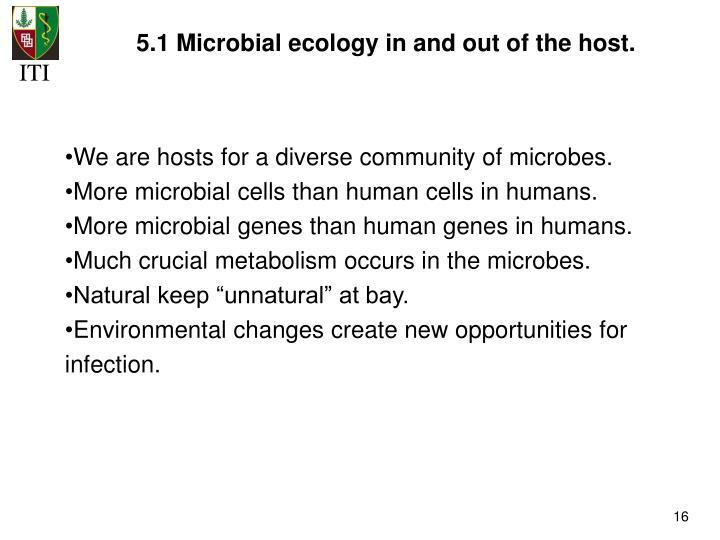 5.1 Microbial ecology in and out of the host. We are hosts for a diverse community of microbes. More microbial cells than human cells in humans. More microbial genes than human genes in humans. Much crucial metabolism occurs in the microbes. Natural keep “unnatural” at bay. 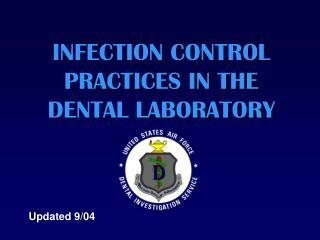 Environmental changes create new opportunities for infection. 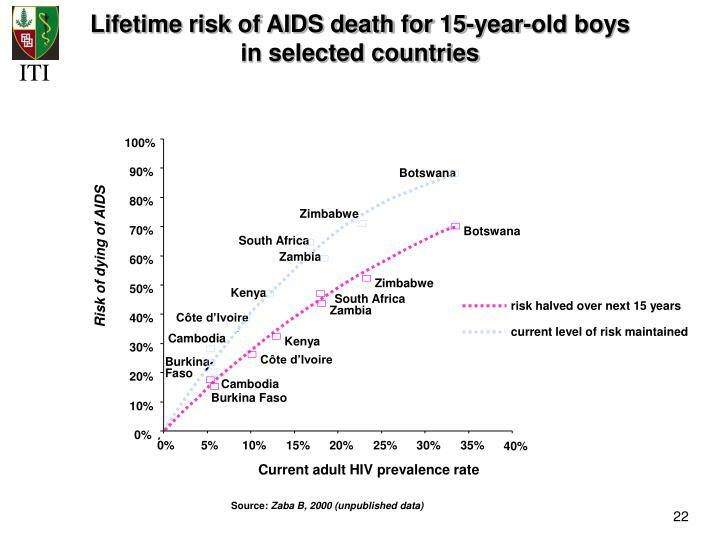 What factors lead to the emergence of new infectious diseases in humans? 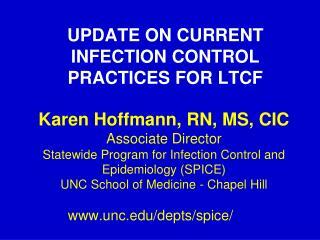 How do microbial infections lead to chronic disease? 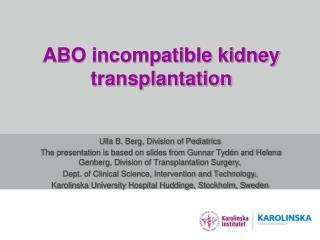 How does the interplay of complex microbial populations contribute to this? 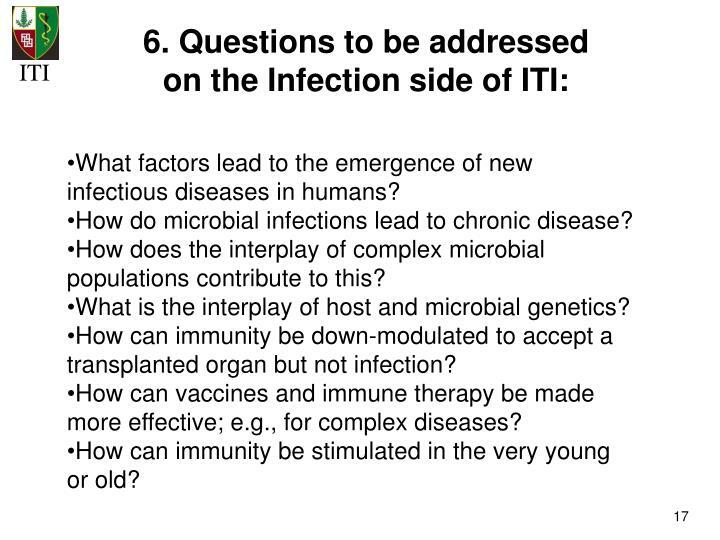 What is the interplay of host and microbial genetics? 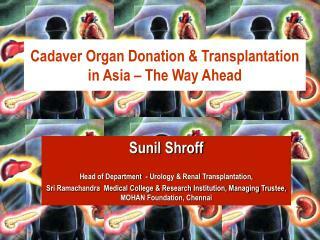 How can immunity be down-modulated to accept a transplanted organ but not infection? How can vaccines and immune therapy be made more effective; e.g., for complex diseases? 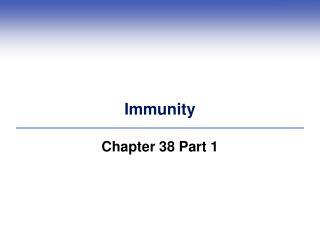 How can immunity be stimulated in the very young or old? Many world leaders in component areas. 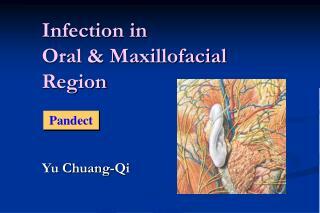 Many more studying diseases with infectious etiologies. A Vaccine Center has already been established. 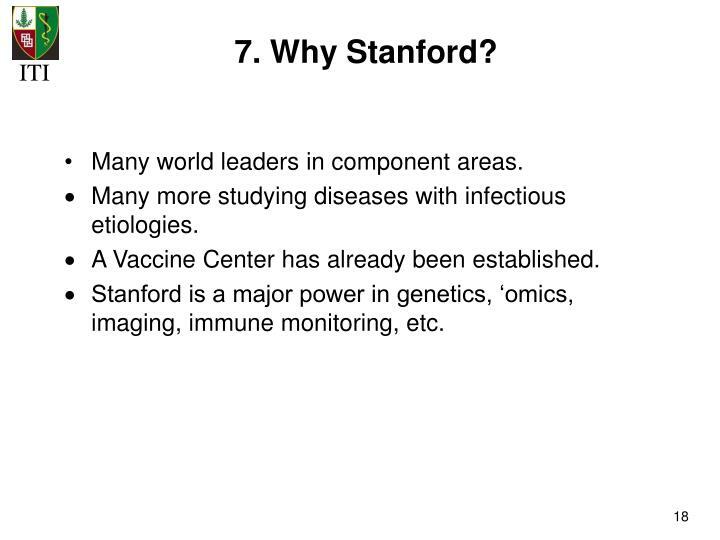 Stanford is a major power in genetics, ‘omics, imaging, immune monitoring, etc. 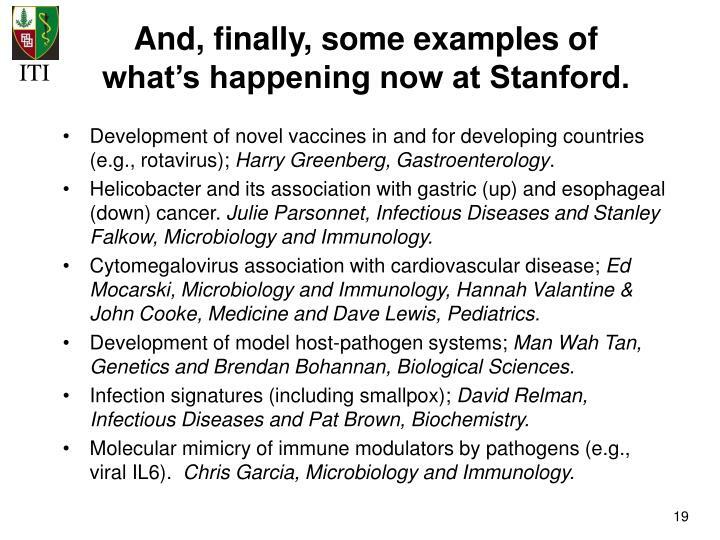 And, finally, some examples of what’s happening now at Stanford. 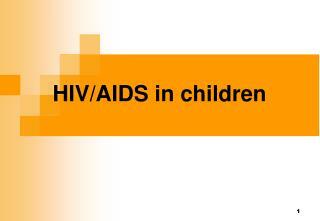 Development of novel vaccines in and for developing countries (e.g., rotavirus); Harry Greenberg, Gastroenterology. Helicobacter and its association with gastric (up) and esophageal (down) cancer. 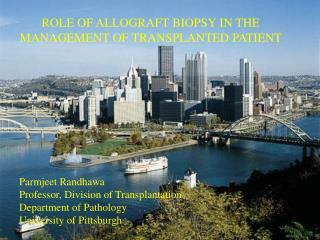 Julie Parsonnet, Infectious Diseases and Stanley Falkow, Microbiology and Immunology. 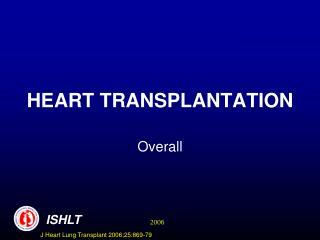 Cytomegalovirus association with cardiovascular disease; Ed Mocarski, Microbiology and Immunology, Hannah Valantine & John Cooke, Medicine and Dave Lewis, Pediatrics. Development of model host-pathogen systems; Man Wah Tan, Genetics and Brendan Bohannan, Biological Sciences. 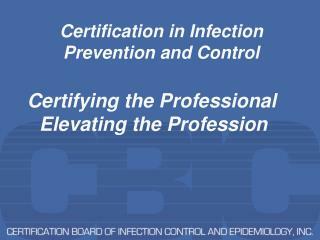 Infection signatures (including smallpox); David Relman, Infectious Diseases and Pat Brown, Biochemistry. 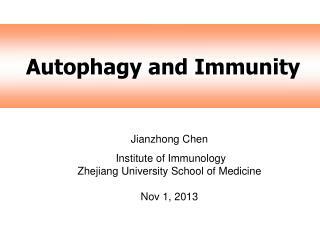 Molecular mimicry of immune modulators by pathogens (e.g., viral IL6). Chris Garcia, Microbiology and Immunology. 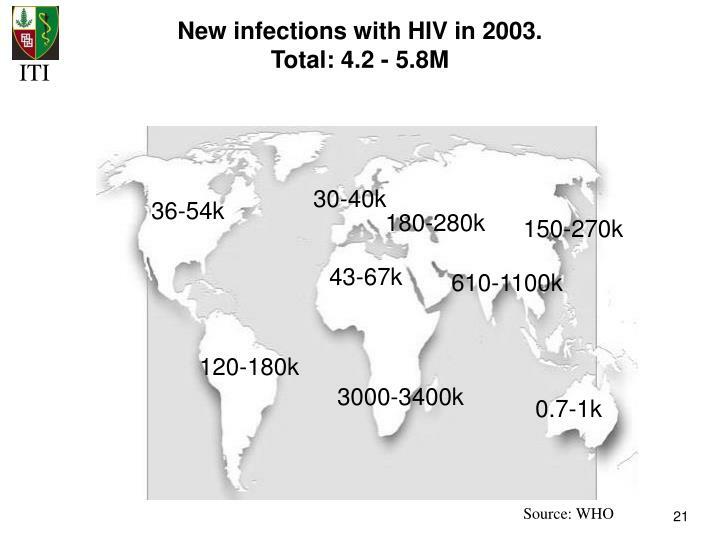 New infections with HIV in 2003. 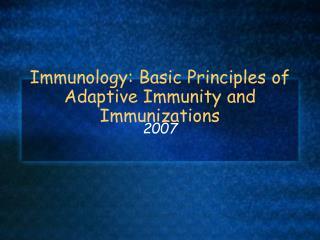 Immunology: Basic Principles of Adaptive Immunity and Immunizations -. 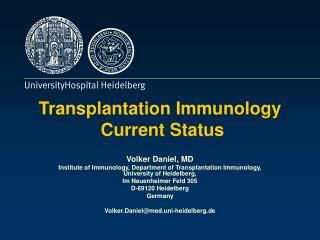 2007. adaptive immunity. 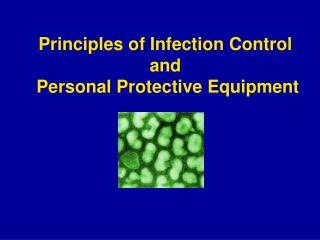 recognize non self respond to a foreign invader distinguish between invaders( potential pathogen).